An exquisite wedding garter that combines beautiful soft tulle with antique style lace. 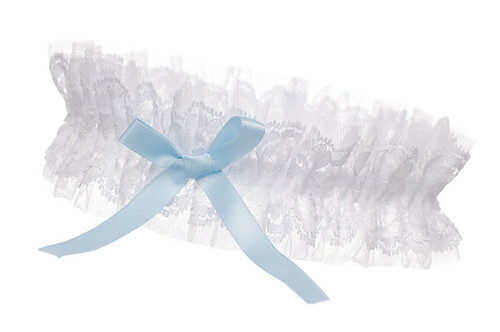 This garter is highlighted with a hand tied satin bow in baby blue, perfect for that something blue tradition. This product was added to our catalog on September 03 Saturday, 2011.